Simplify safety. Program creation and management with one easy tool. Features that make safety compliance a breeze. 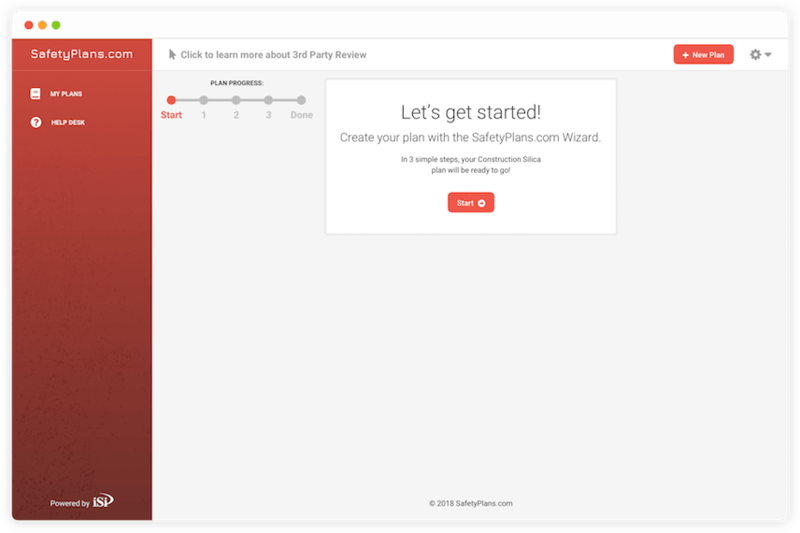 Create safety plans with our user-friendly Safety Plan Wizard. 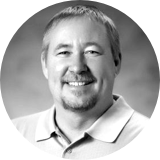 All the compliance documentation for your organization in one place. Invite your team to keep everyone on the same page. Protect your company and have our team of expert consultants review your plans. A simple process for creating and managing your safety plans. Quickly create a plan by choosing one from our growing library. Once a plan is in place, it's easy to update and always at your fingertips. Submitting plans for expert approval is as simple as clicking a button. Get back to working worry-free with the help of SafetyPlans.com! Backed by 27 years of safety compliance experience. "SafetyPlans.com was built with the intention of supporting companies faced with the challenge of complying with today’s ever-changing health and safety regulations. As a product of iSi Environmental, SafetyPlans.com reflects the quality and service we provide to each and every customer we serve. Should you ever need additional support in EPA, OSHA, & State compliance, please contact us!" Free to get started. Painless to achieve peace-of-mind. This part of the SafetyPlans.com platform is the service we are most proud to offer. Not knowing whether your company complies with state and federal regulations is stressful. We want to ease that stress by offering access to experts that just "get it" and can put you back in the field without hesitation. You can view the plans we have available on our plans page. More will come in the near future including Hexavalent Chromium and Beryllium. How do I request a plan that's not yet on the platform? Making a safety plan is free. Obtaining verification of that plan will come at a very reasonable cost. OSHA requirements vary and some plans benefit greatly from being verified. Contact us at 888-264-7050 to obtain more specific information on which of your plans merit verification. Health and Safety solutions company based in Wichita, Kansas. For 27 years, iSi Environmental has been offering quality compliance solutions to customers across the United States. SafetyPlans.com is our way of extending our reliable solutions to a bigger audience. Does SafetyPlans.com offer other services? 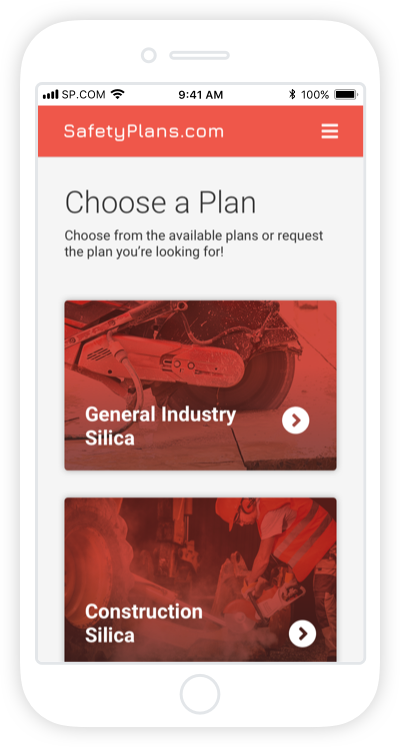 Currently the only service SafetyPlans.com offers is customized safety plans. Our sister company (iSi Environmental) offers a multitude of health and safety services, including: Industrial Hygiene and IAQ Monitoring, Safety Training, OSHA/EPA Audits, Environmental Permitting, and many others. Visit isienvironmental.com for a more comprehensive list of services. What features are coming next to SafetyPlans.com? Next SafetyPlans.com will offer different types of plans, the ability to live chat with a compliance consultant, and much more!! Have a question that's not listed in our FAQ section? Want to request a plan that we don't offer? Maybe you want to let us know your thoughts on the platform... Send us a message using the form below and we'll be in touch!